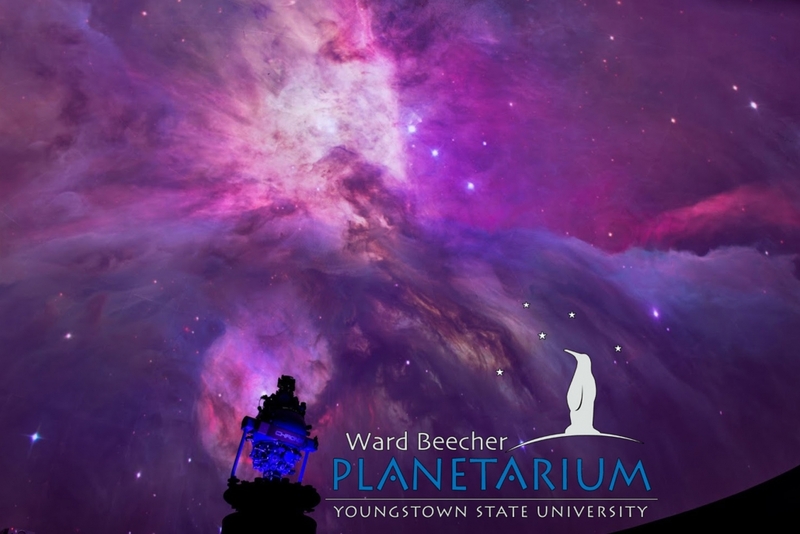 The Ward Beecher Planetarium at Youngstown State University presents One World, One Sky: Big Bird’s Adventure. Big Bird’s Adventure begins on Sesame Street when Elmo’s friend Hu Hu Zhu visits from China. Big Bird, Elmo, and Hu Hu Zhu take viewers on an exciting discovery of the Sun, Moon, and stars. They learn about the Big Dipper and the North Star and take an imaginary trip to the Moon. Celebrate with Elmo and Hu Hu Zhu the idea that even though we live in different countries, we still share the same sky. Shows are Saturday, March 2, 9, & 16, at 12:30pm and 2:00pm. All shows are free and open to the public (donations are always appreciated). No reservations are needed – doors open 30 minutes prior to show time. First come, first seated!